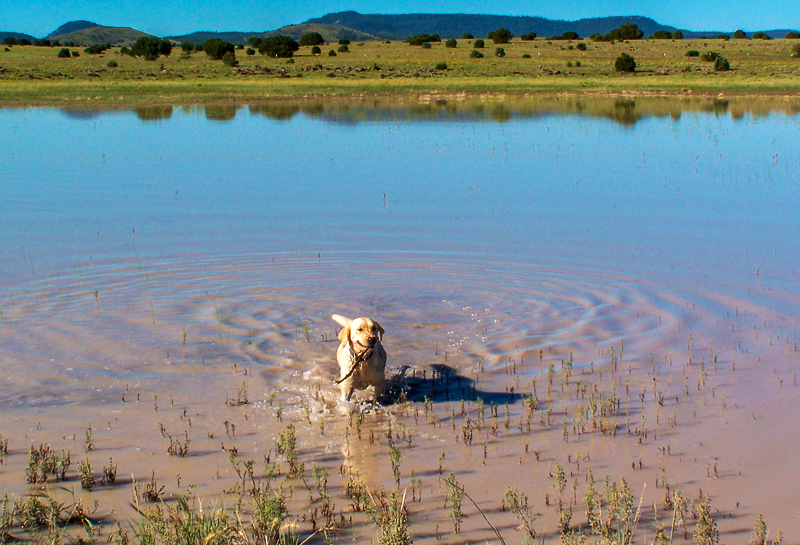 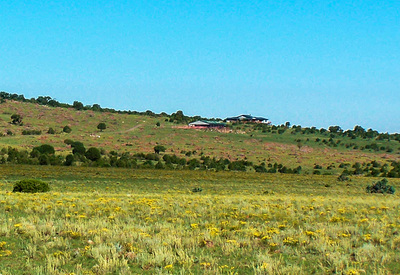 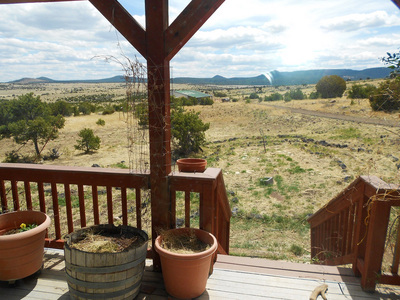 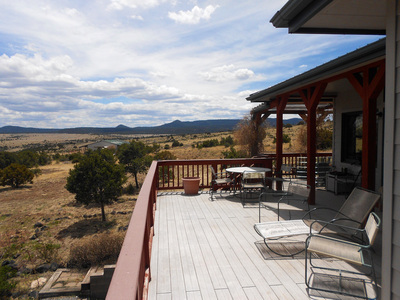 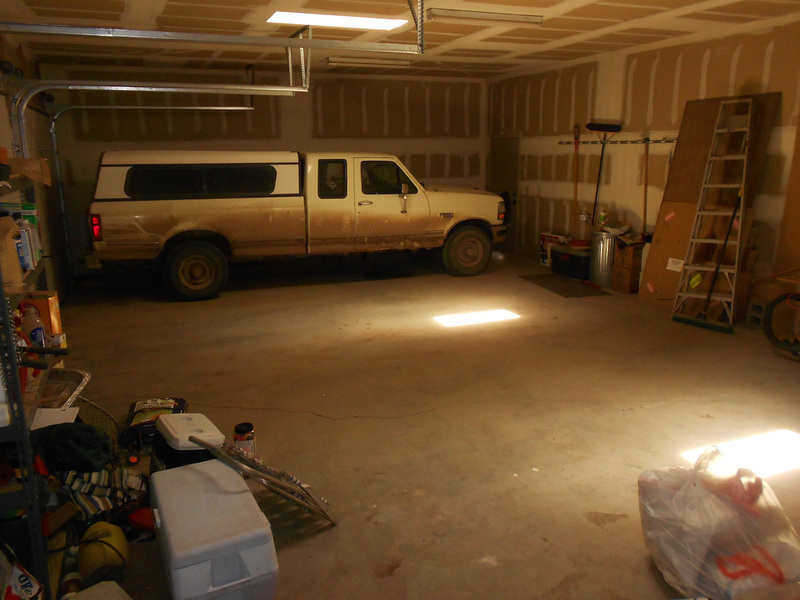 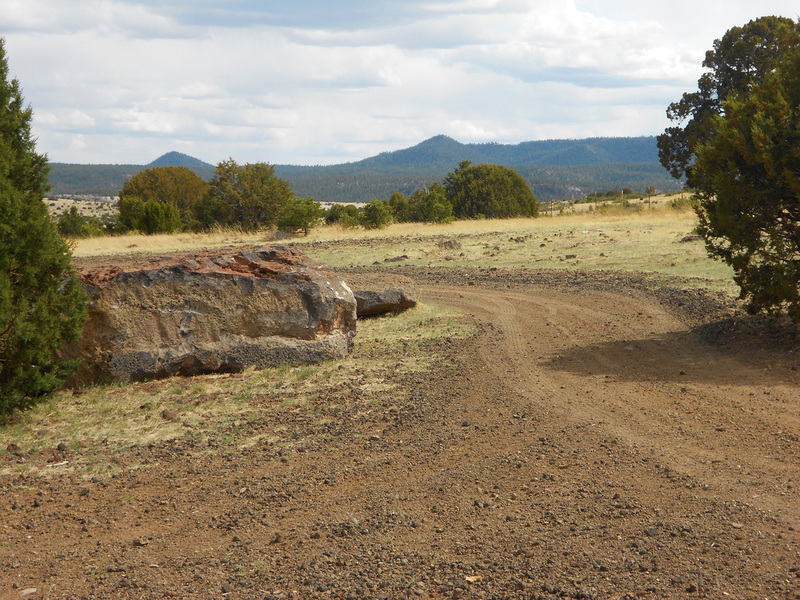 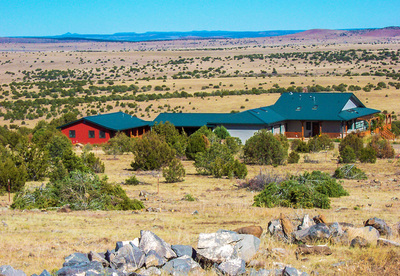 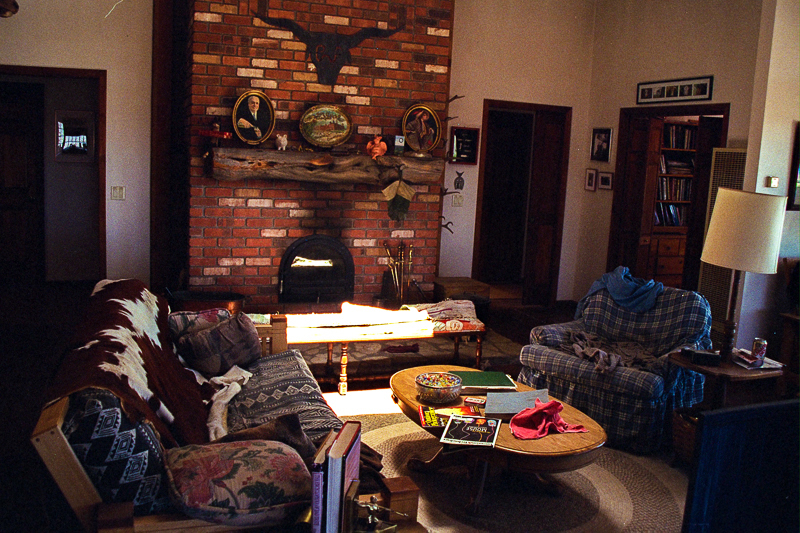 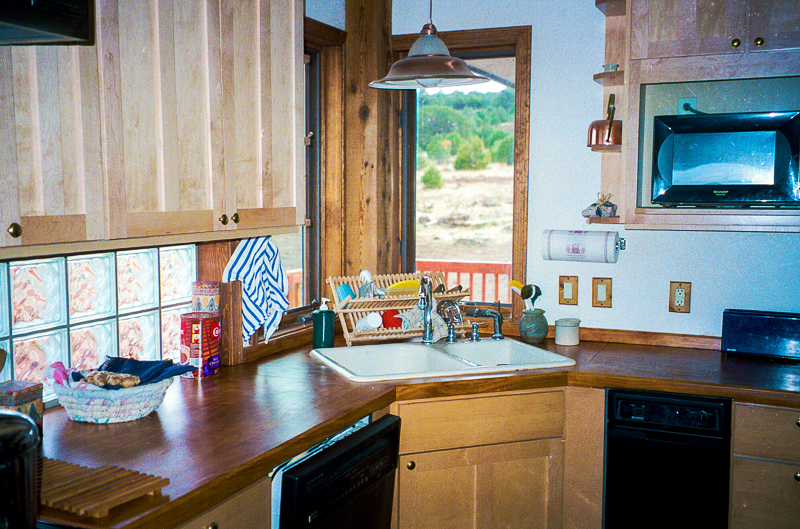 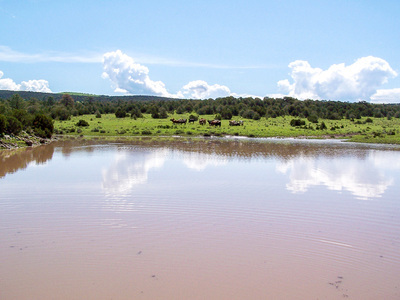 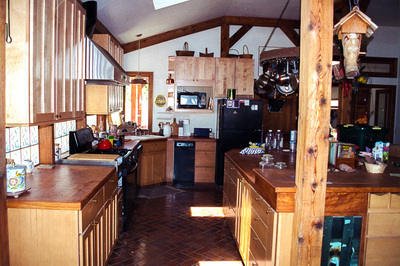 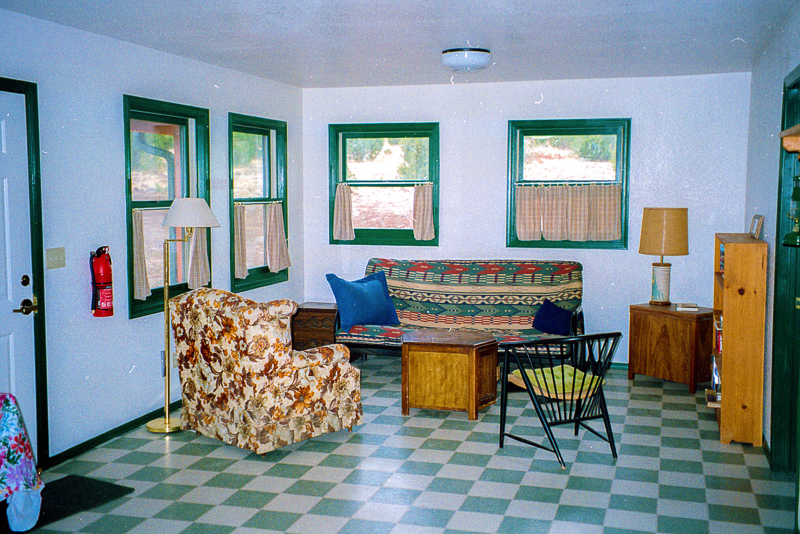 The Sometime Creek Ranch is located around 30 miles west of Quemado in southwestern New Mexico near the Arizona border, and only 20 miles east of Springerville, AZ. The ranch boundary is 1 mile north of FR 205 and 4 miles west of Bill Knight Gap which is a junction located 12 miles south of Hwy 60 towards Luna. 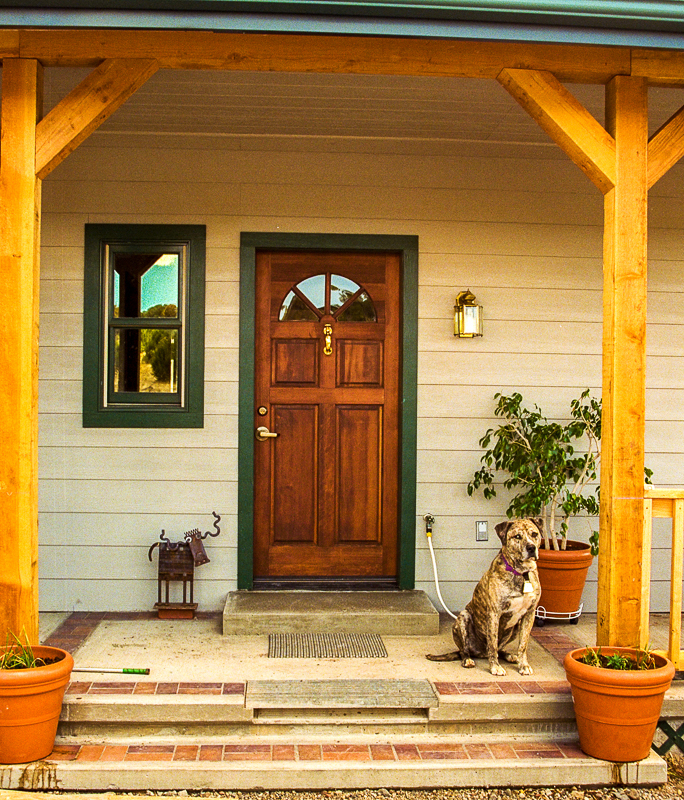 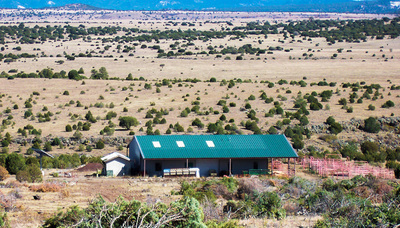 The ranch has no boundary along any public road, allowing total privacy. 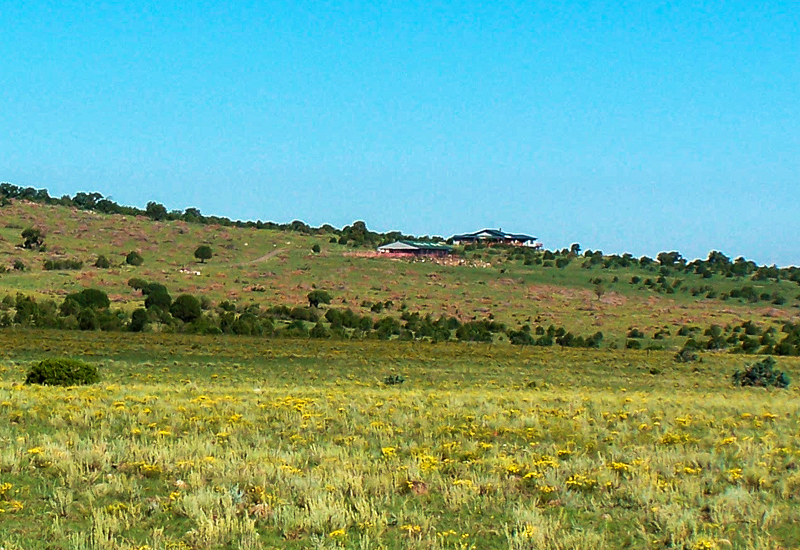 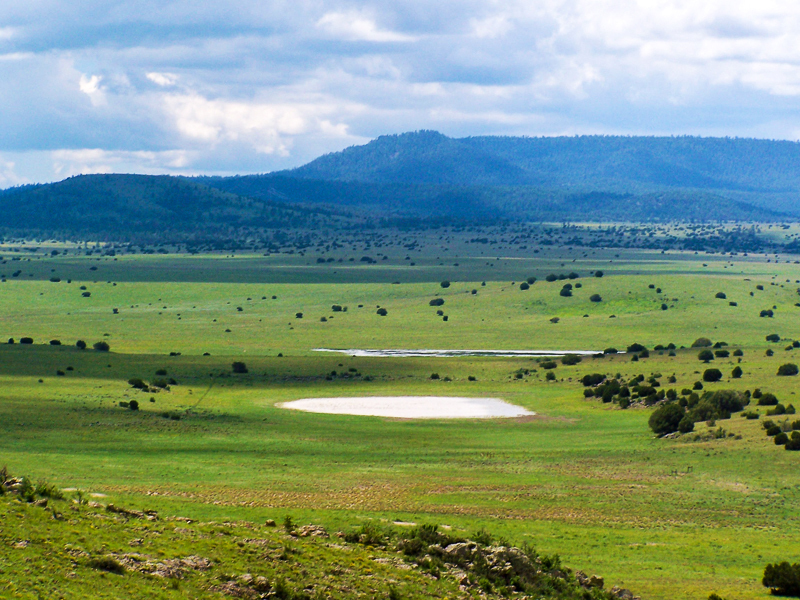 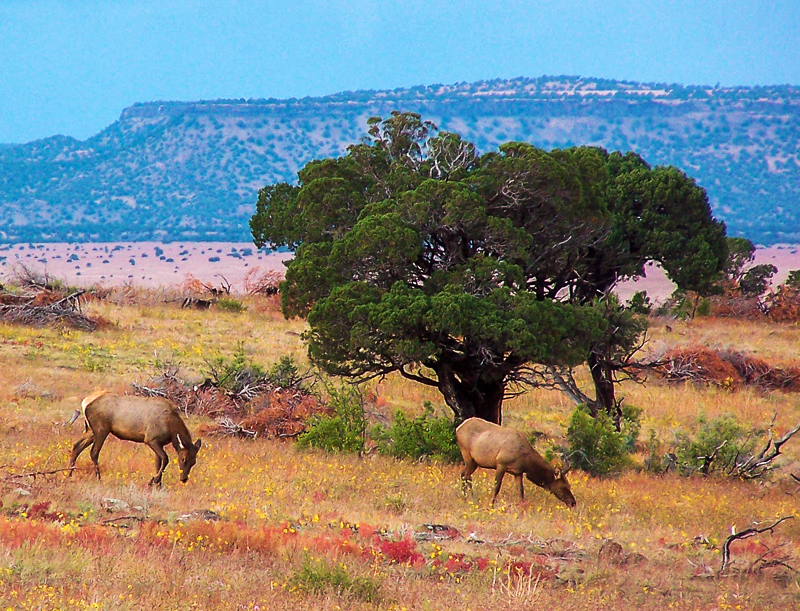 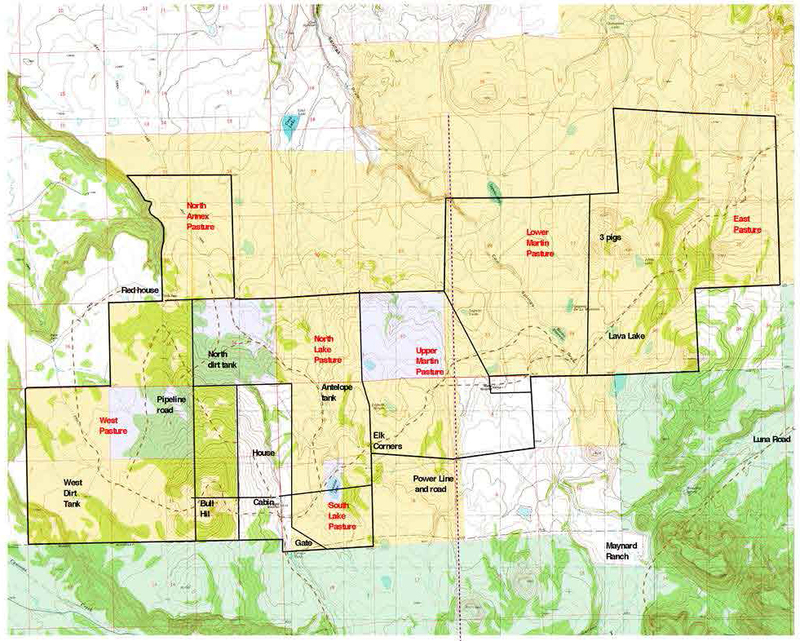 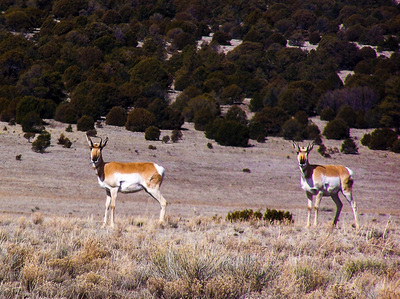 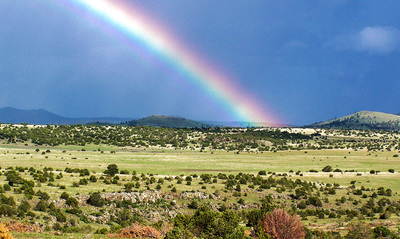 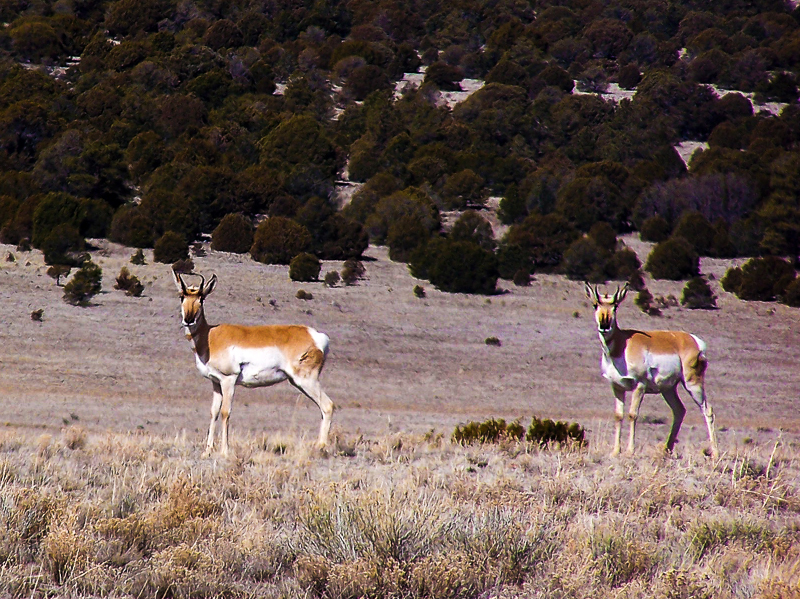 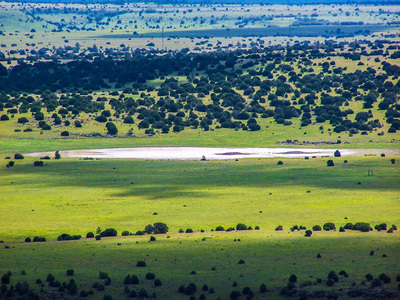 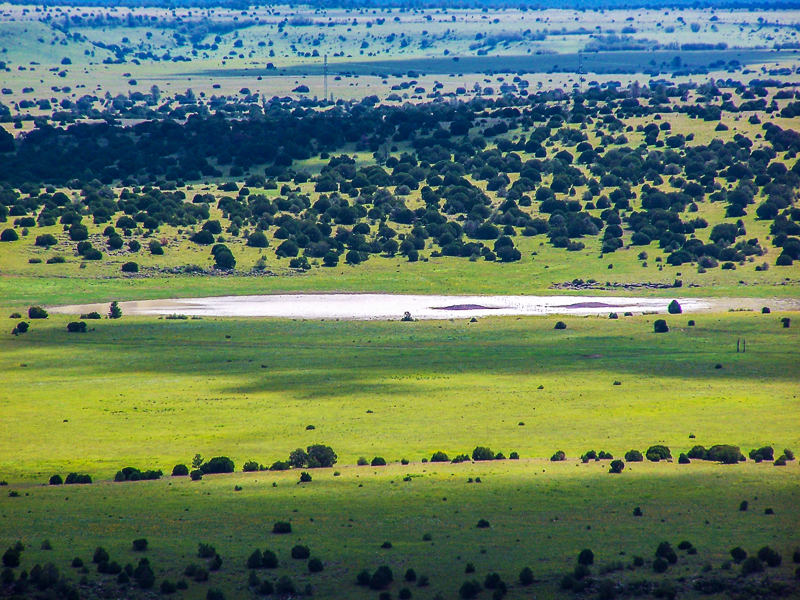 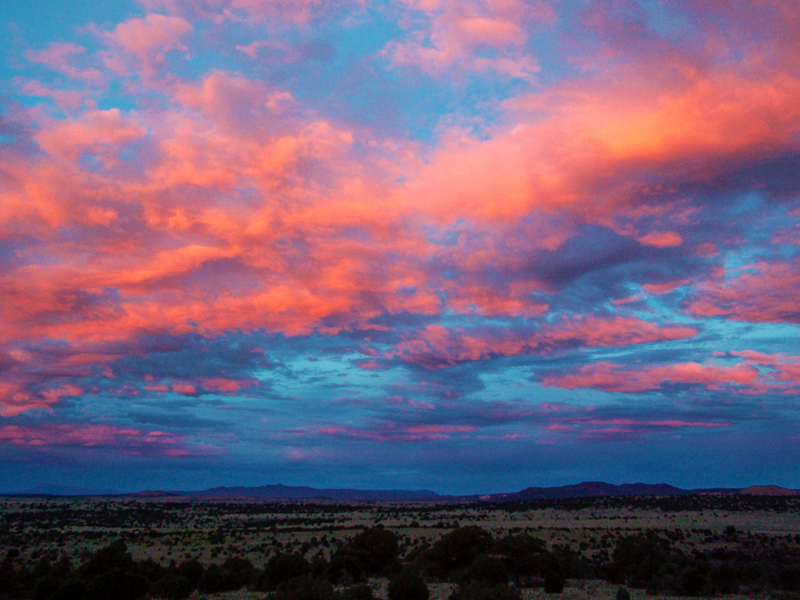 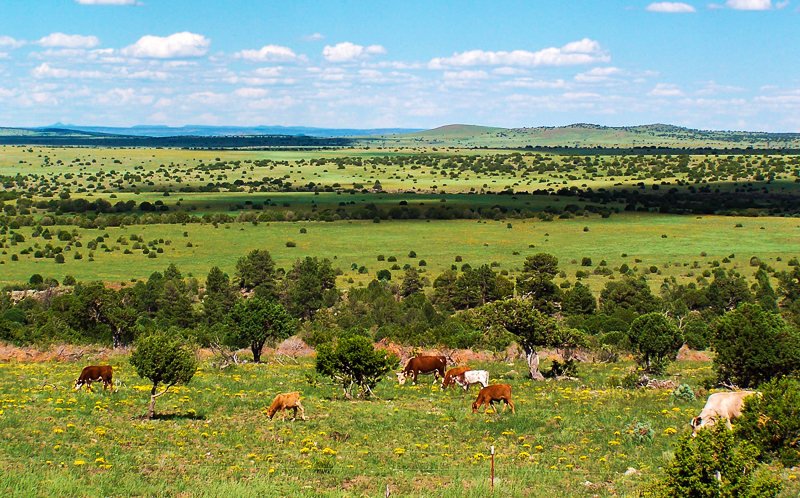 This ranch comprises of 1,386 acres deeded, 1,910 acres NM State lease and 11,804 acres BLM lease. 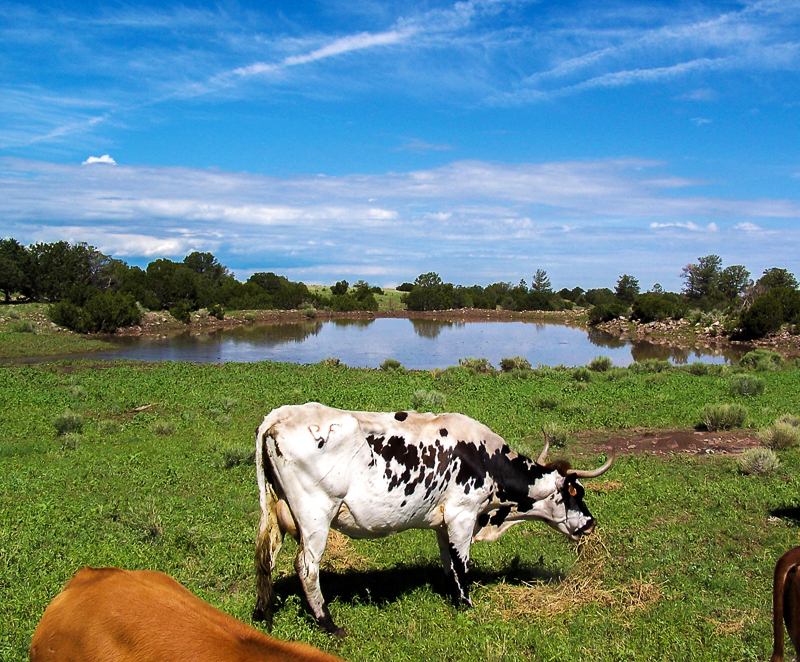 It is rated for 239 grown cattle year-long. 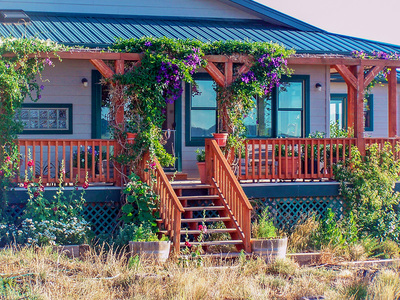 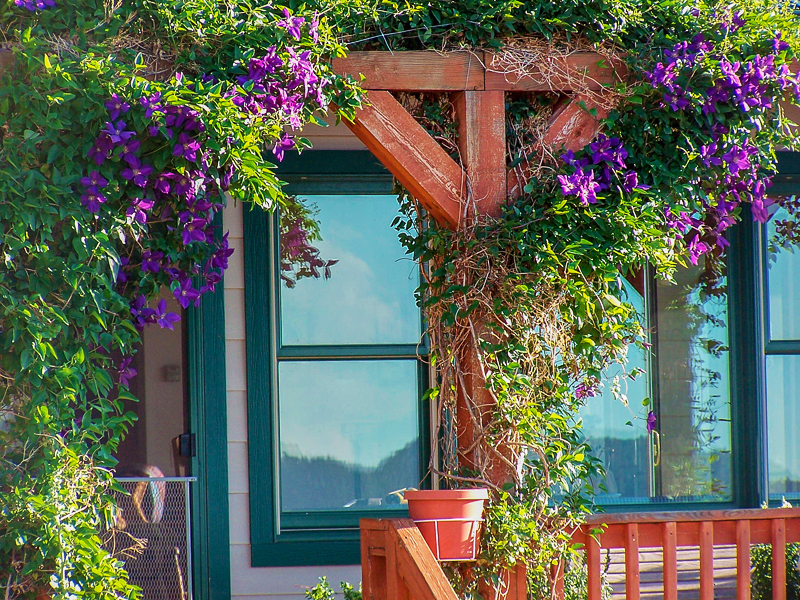 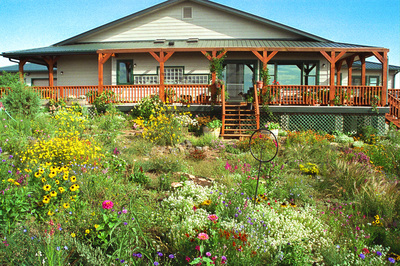 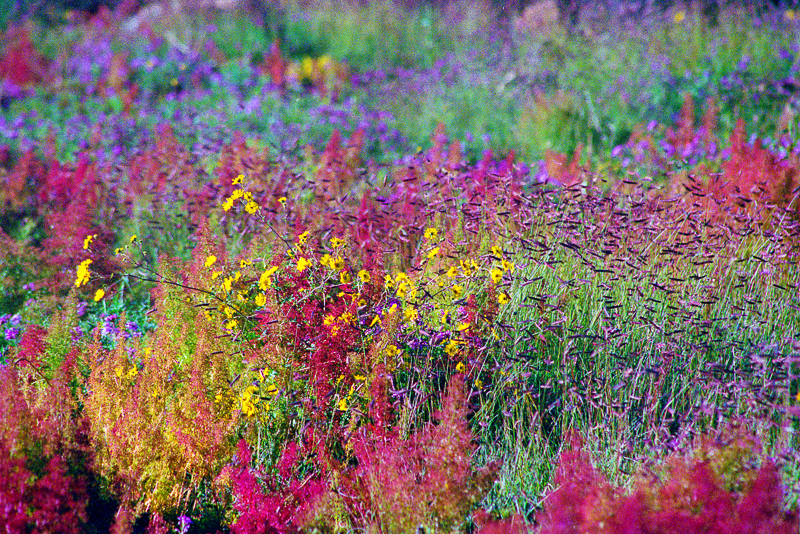 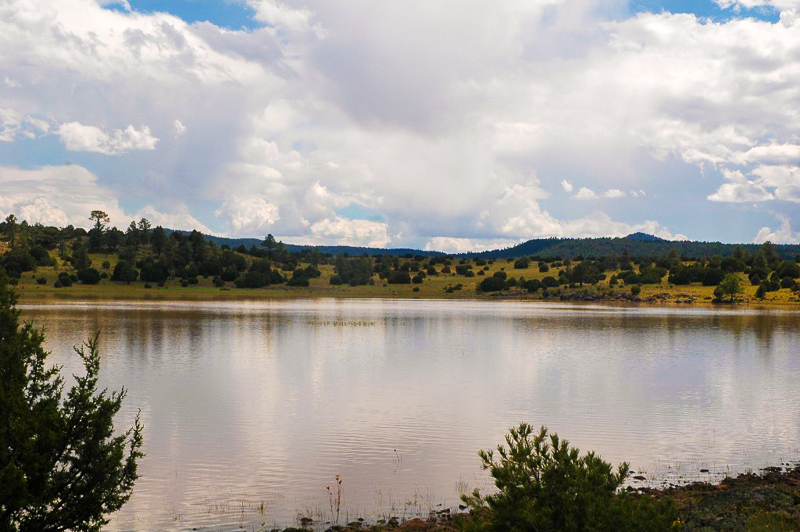 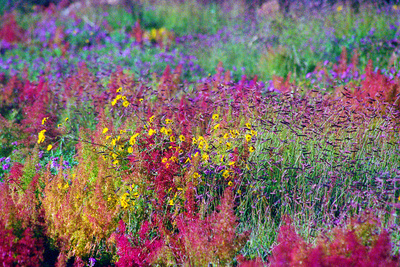 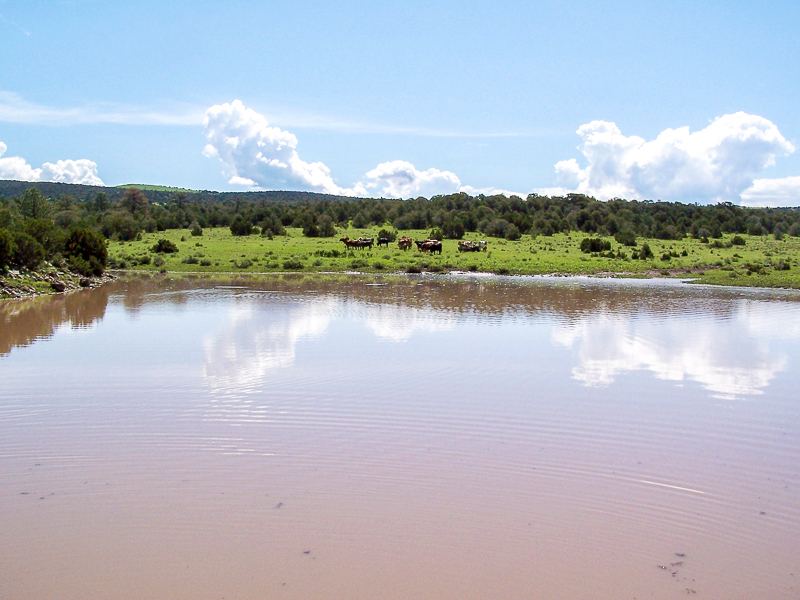 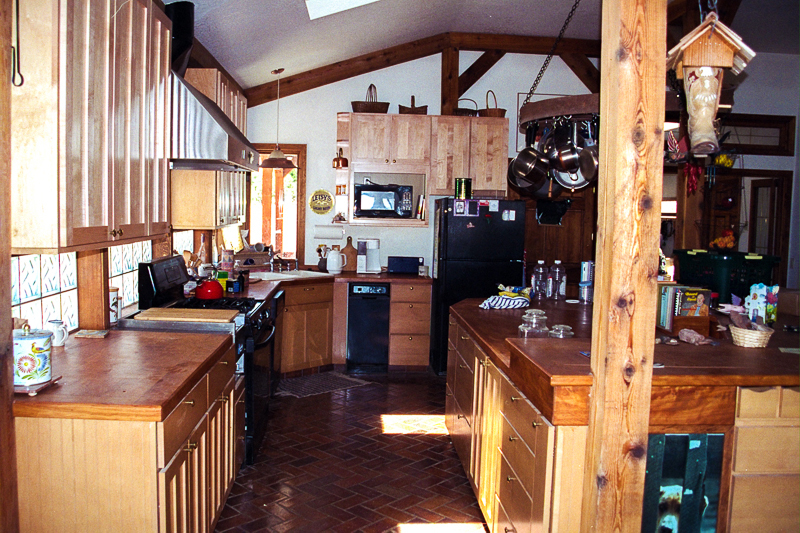 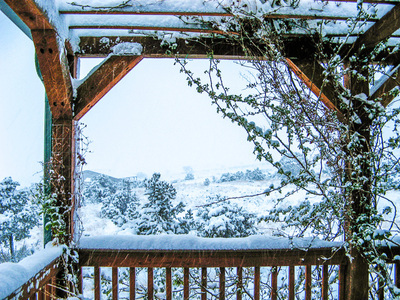 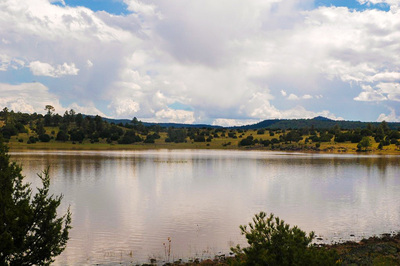 At elevations of 7,200'-8,400' the ranch receives approximate rainfalls of 12-14 inches per year. 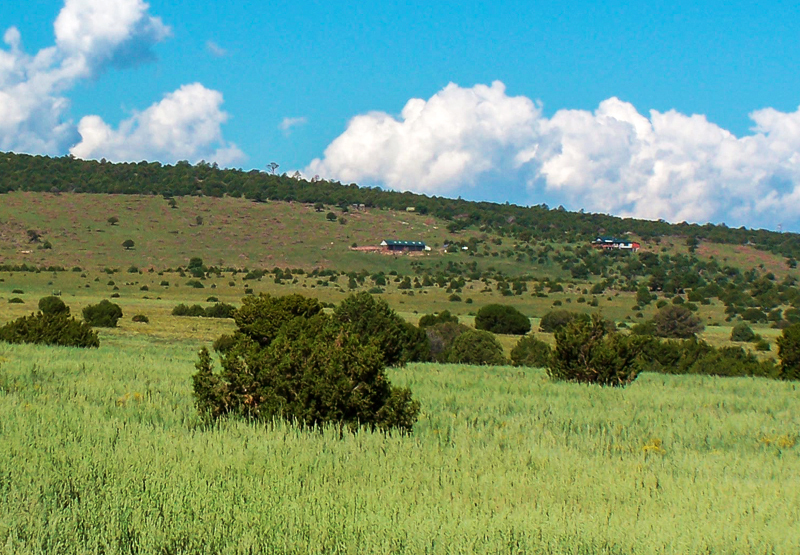 Foliage is of mostly gramma grass, and there are ponderosa pine, cedar, pine, and pinion trees. 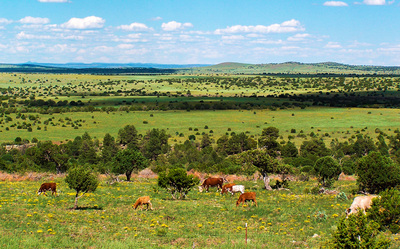 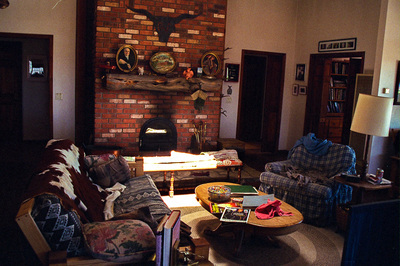 The terrain is mostly of rolling meadows, some rock canyons, small forests, the perfect ranching and hunting country. It is divided into 10 pastures ranging in size from 5 sections to ½ section. 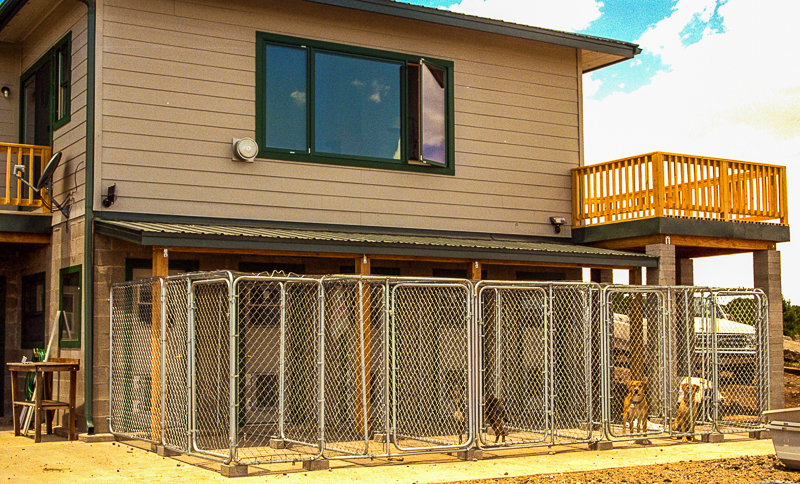 There are additional smaller traps at the corrals and wells, and around the ranch headquarters. Water is supplied from 5 windmill & solar powered wells in depths of 220-480 feet. 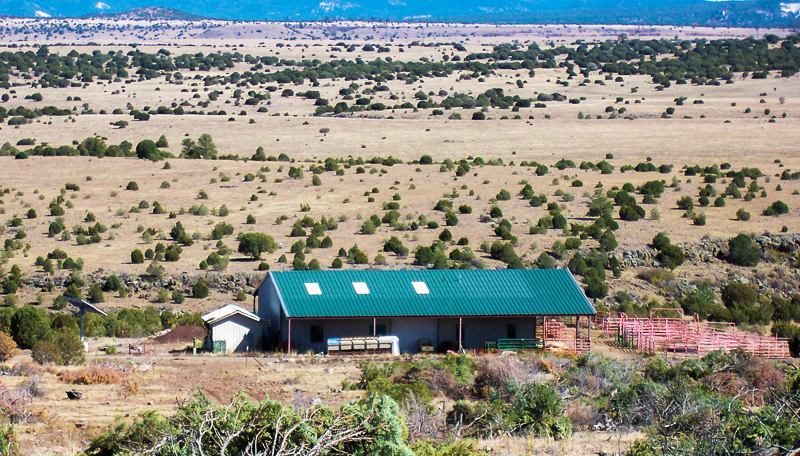 Additionally, there are 14 dirt tanks, 19 pipeline drinkers, 2 reservoirs, and 8 steel water storage tanks across the ranch. 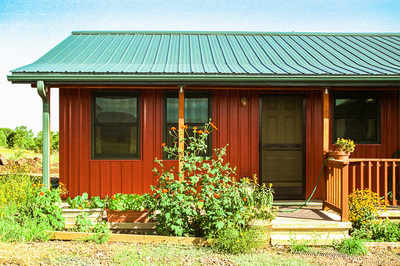 The 3,156 sf headquarters residence and 960 sf guest house are of custom built 2x6 frame construction with Hardiplank siding and metal roofs. 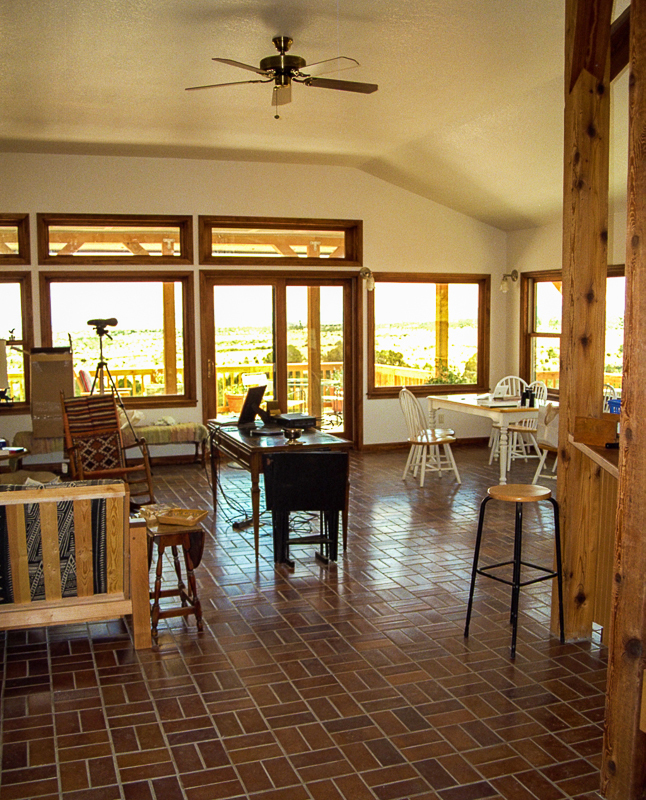 Upstairs, the main house features a large open kitchen with a combined living and dining area, all on polished brick floors. 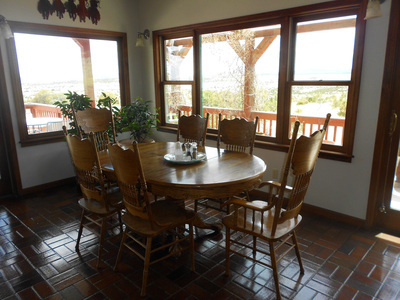 Ceiling-to-floor windows allow for awe-inspiring views to the east and south, looking across large outdoor porches. 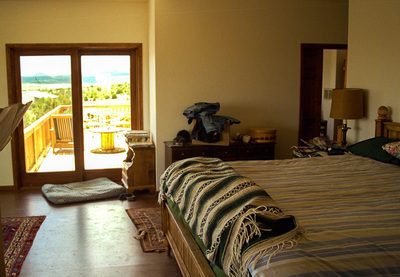 Watch the moon or the sun rise from your bedroom! 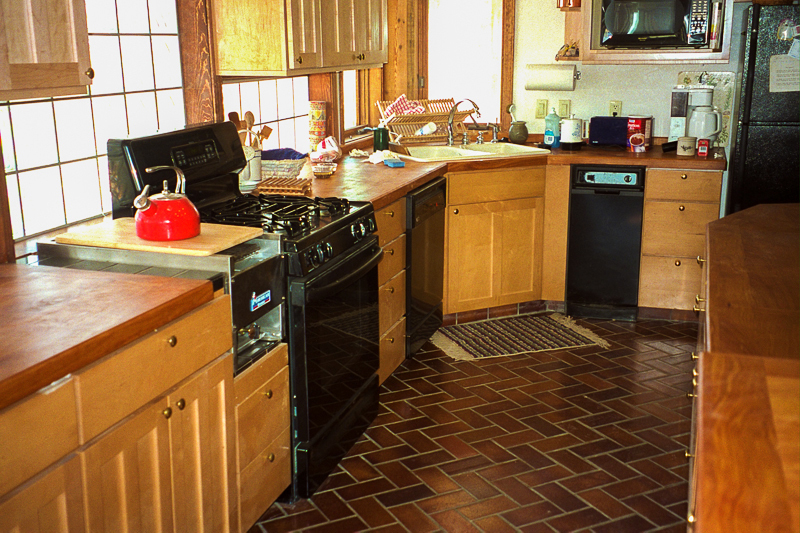 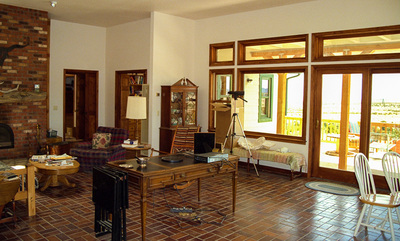 All bedrooms and 2 full baths are upstairs, master bath has separate "his & hers" lavatories The main floor is heated by a giant masonry custom-built wood-burning oven which radiates heat to both the living areas in front and the bedroom area in back. 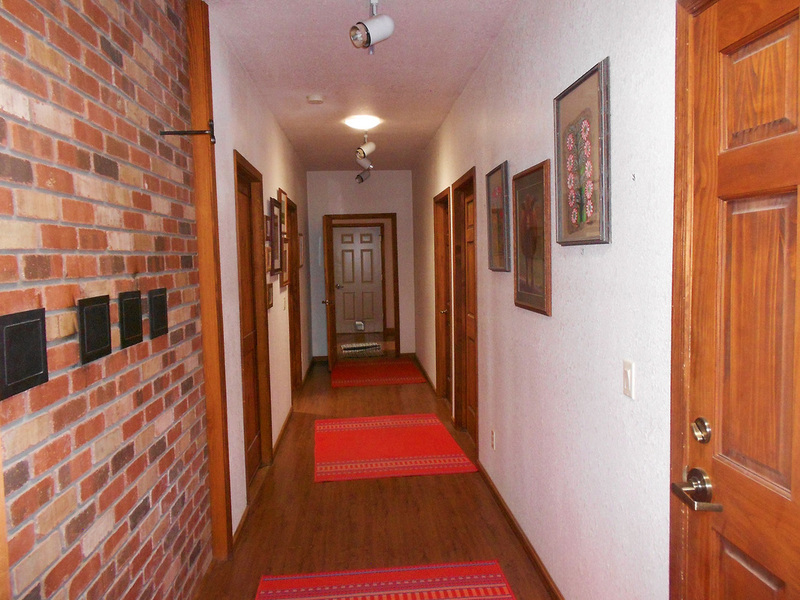 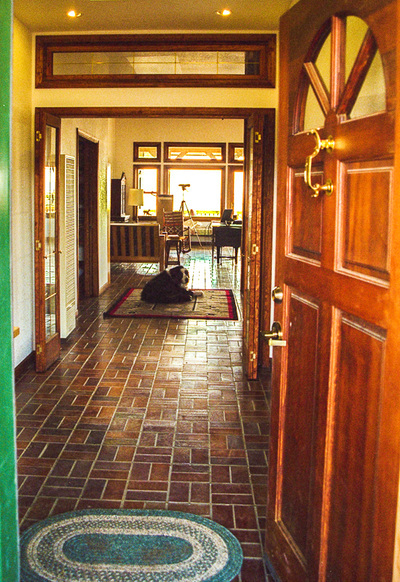 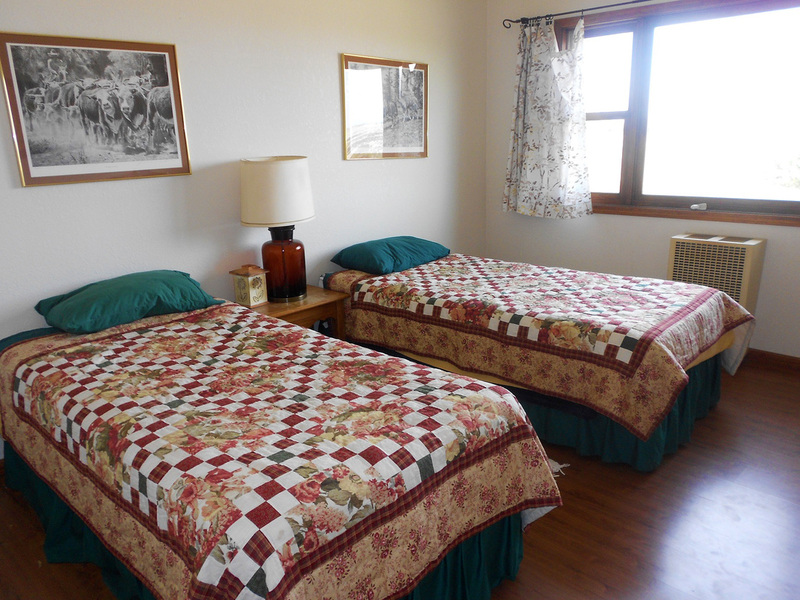 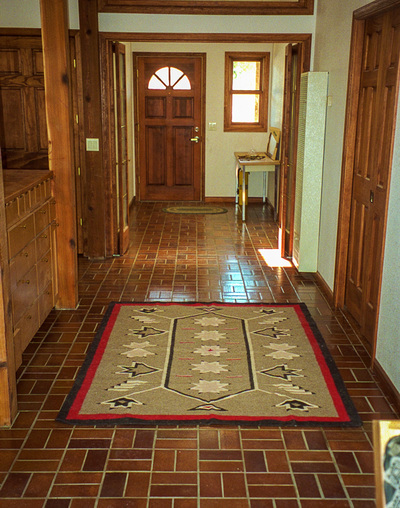 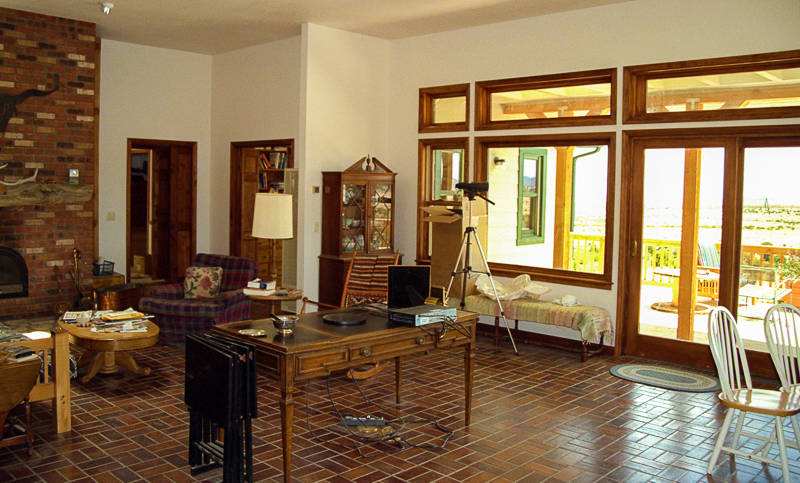 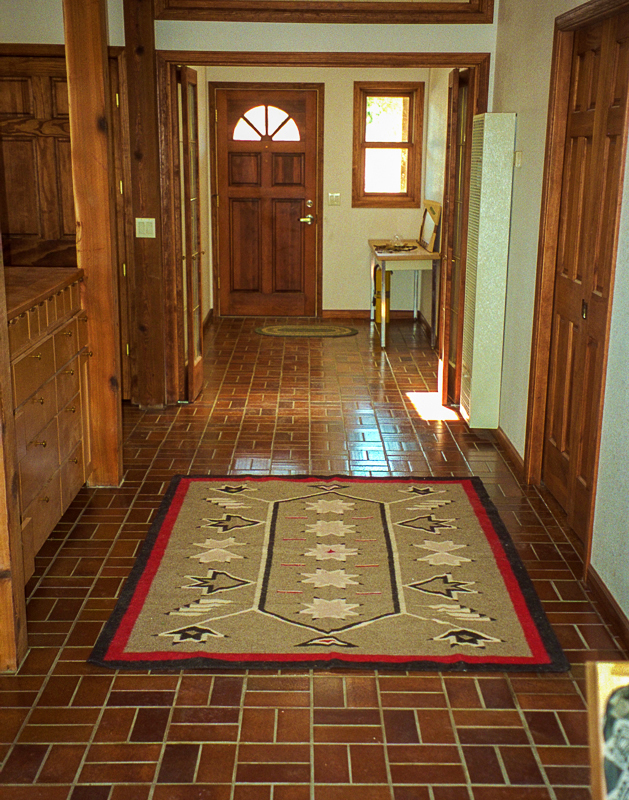 All bedrooms and the hall have laminate floors. 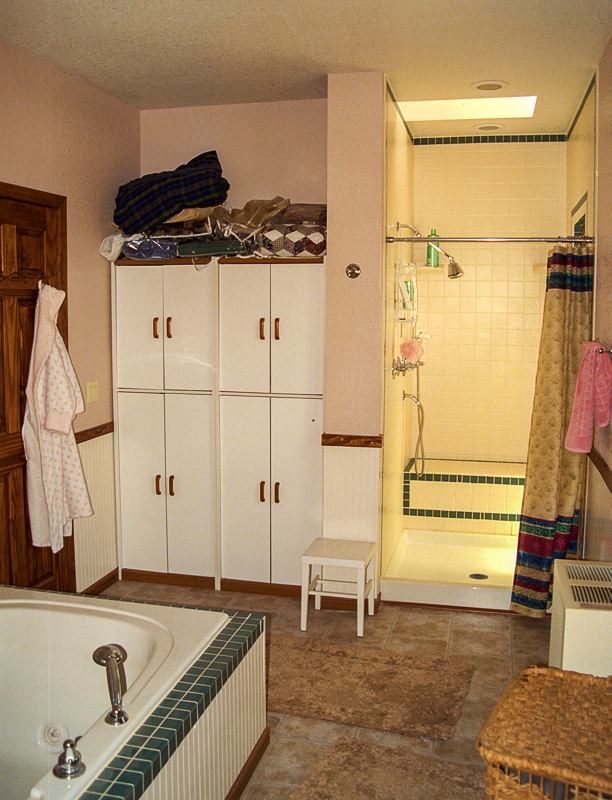 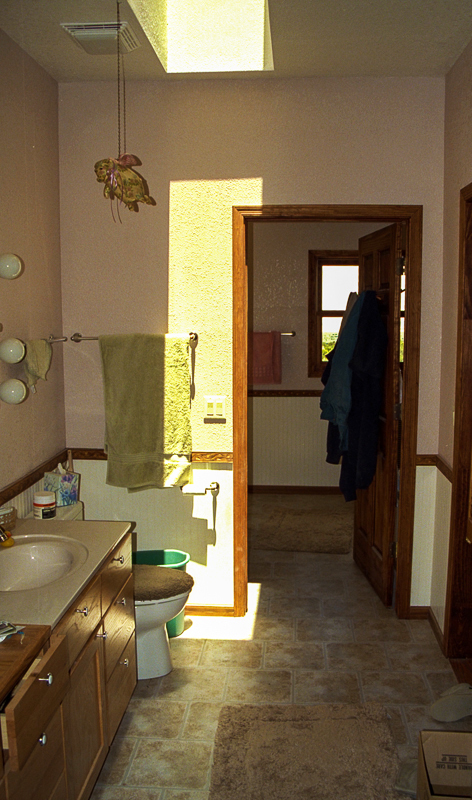 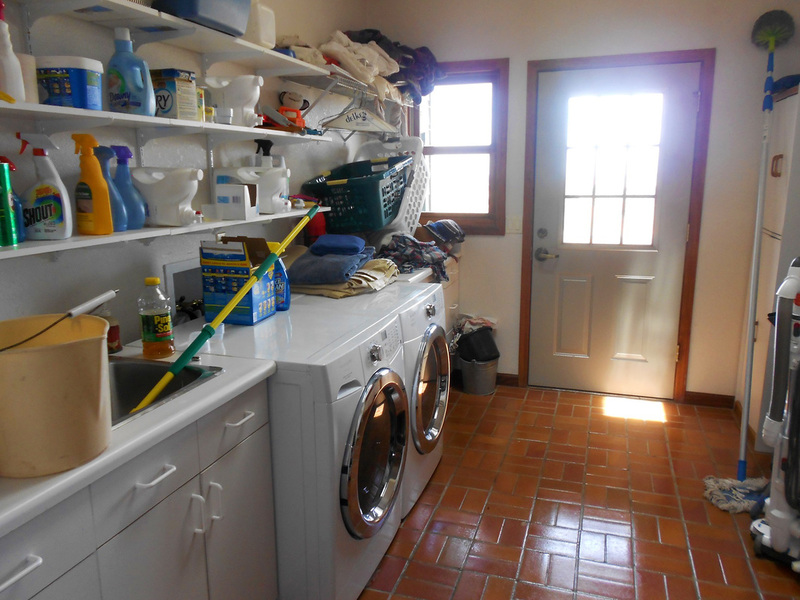 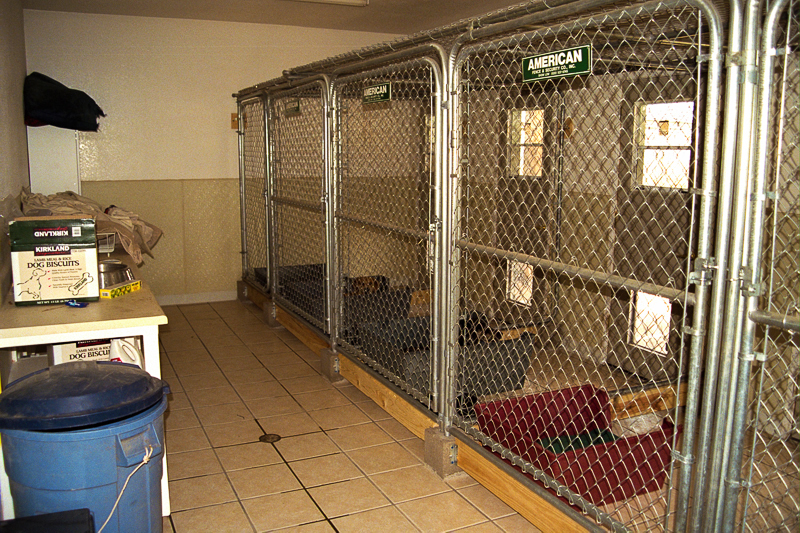 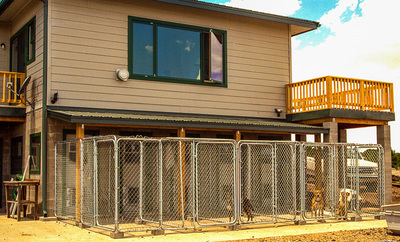 Downstairs, there is the 3rd full-size bath as well as 5 dog kennels and a large storage area. 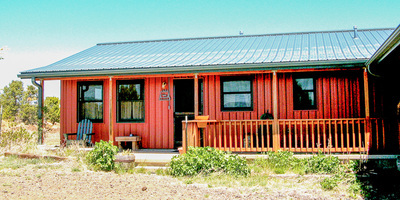 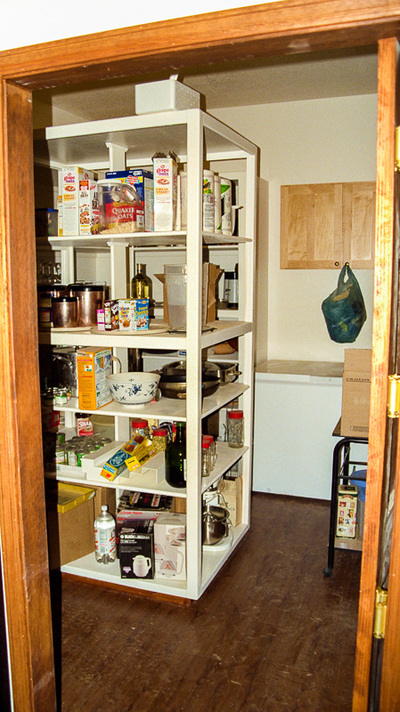 The modern guest house is situated in an L-shape perpendicular behind the main house, connected by a 2-car garage with roll-up doors and a 2-vehicle carport or equipment storage. 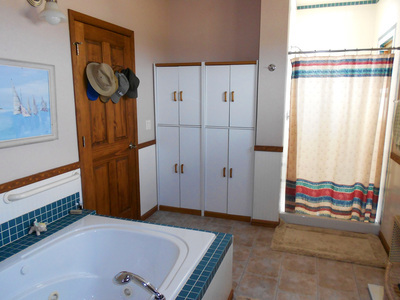 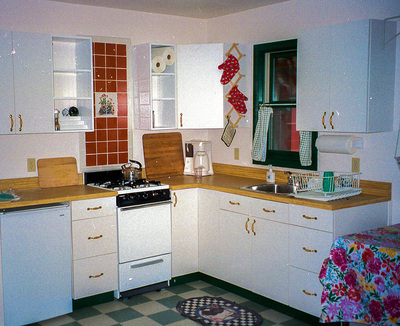 It has also 3 bedrooms, and one full bath. Hunting is prime on this ranch. 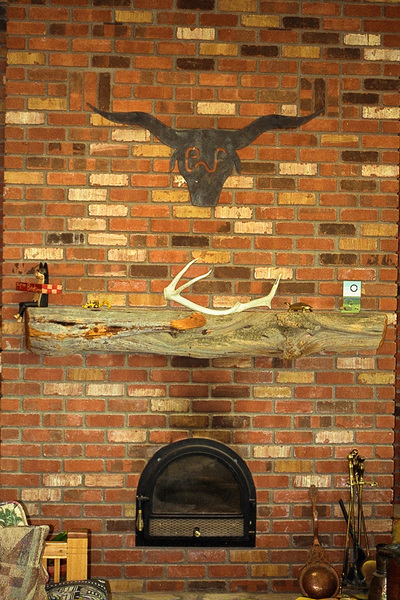 Previously the owners received 4 bull elk muzzle loader permits, plus 3 bull elk archery, plus 4 cow elk archery or muzzle loader. 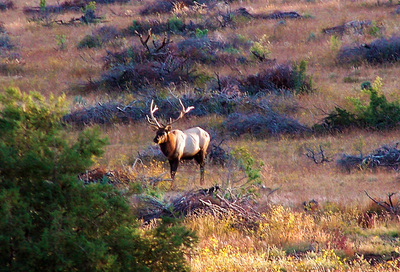 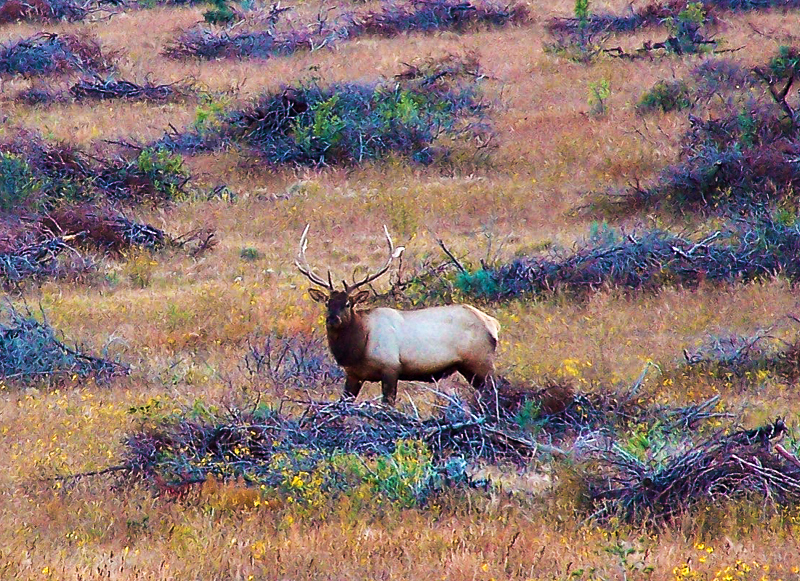 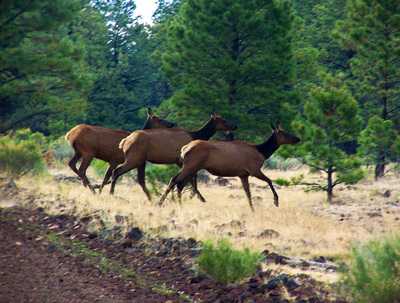 You are here in Big Elk Hunting Unit 15 which is known for 400+ size elk. 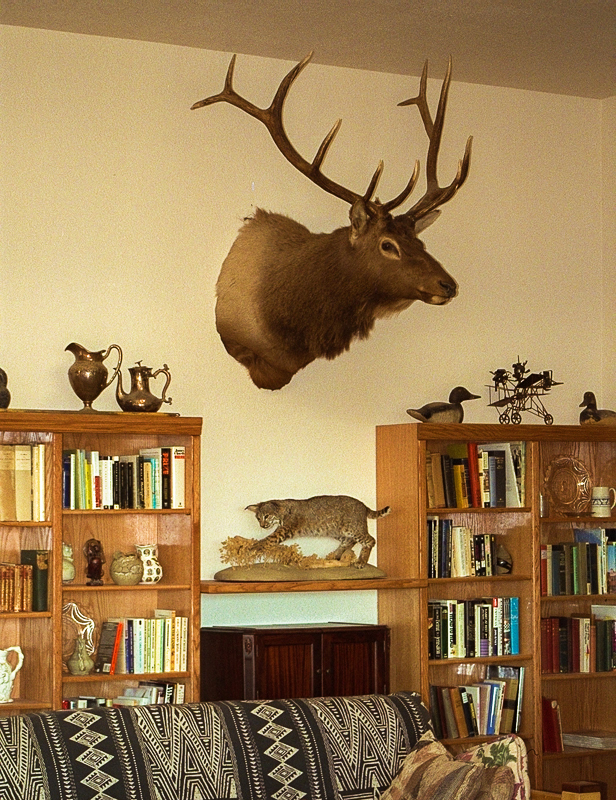 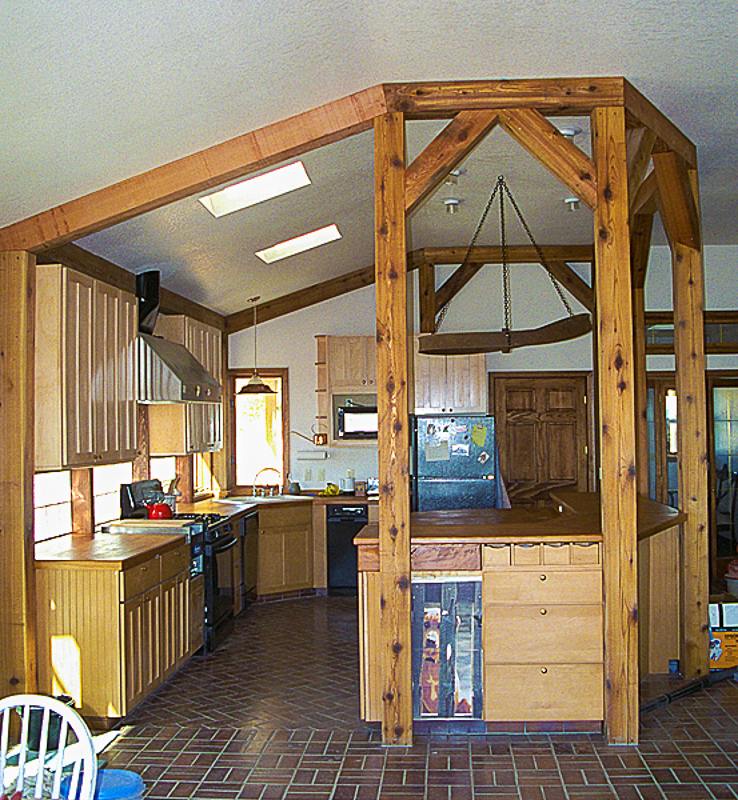 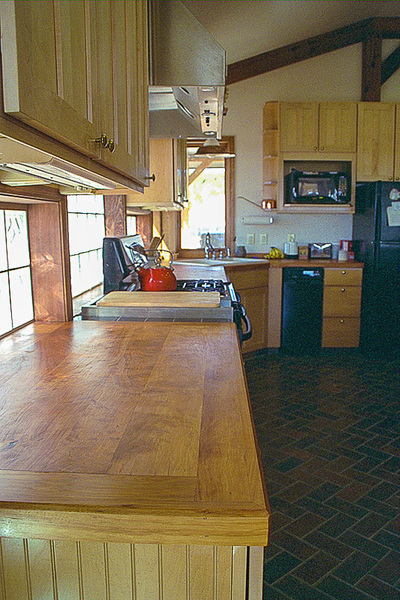 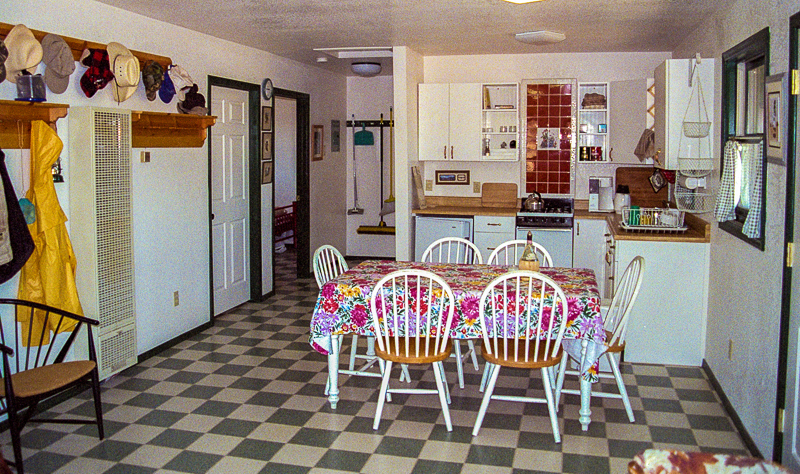 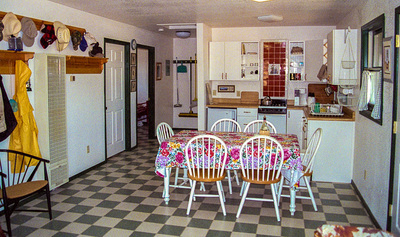 A 600 square foot hunting cabin sleeps 6 and has electricity and telephone available to it. 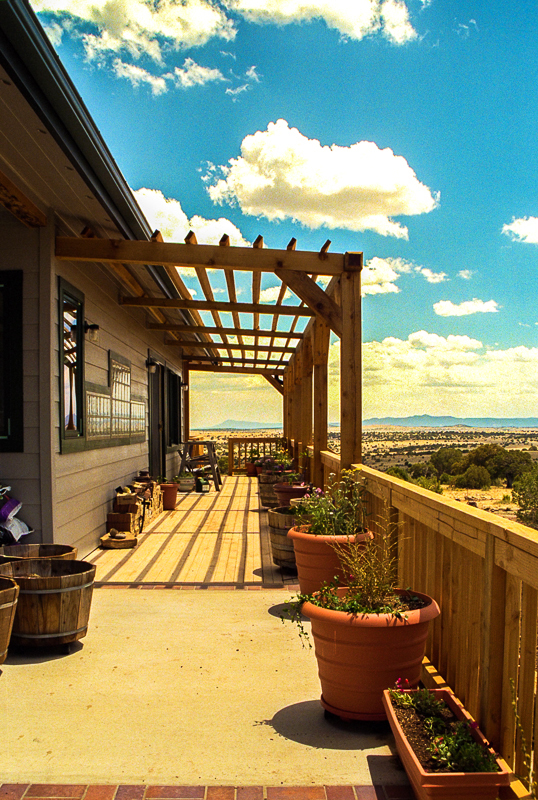 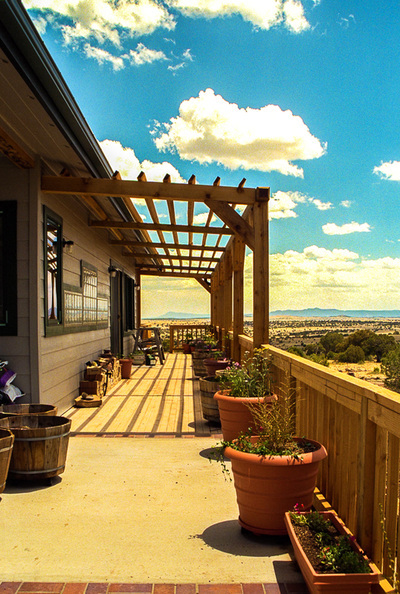 The entire ranch is powered by solar power. 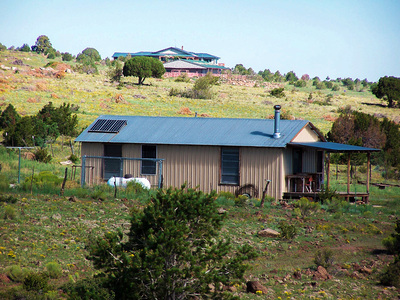 16 tracking solar panels supply 220V from 24 battery packs and an auxiliary propane generator which kicks on automatically to supplement power at times. 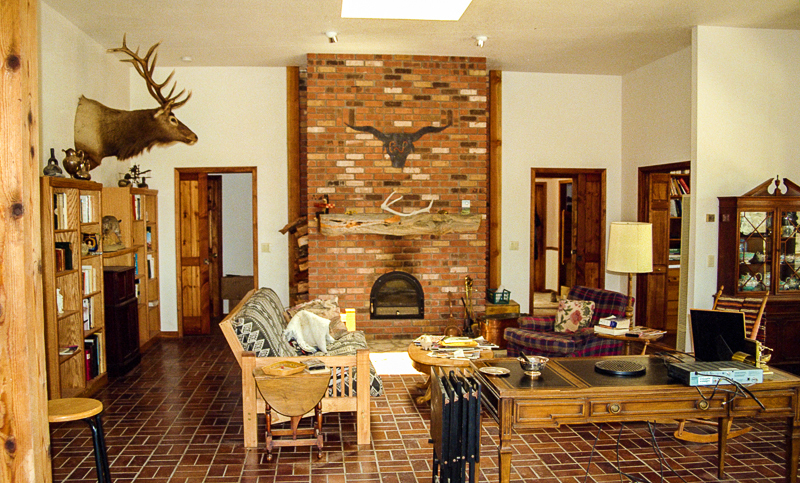 A 1,000 gallon propane tank serves the main house, guest house and the insulated and heated 40x60 metal barn, and a 250 gallon propane tank is at the hunters cabin. 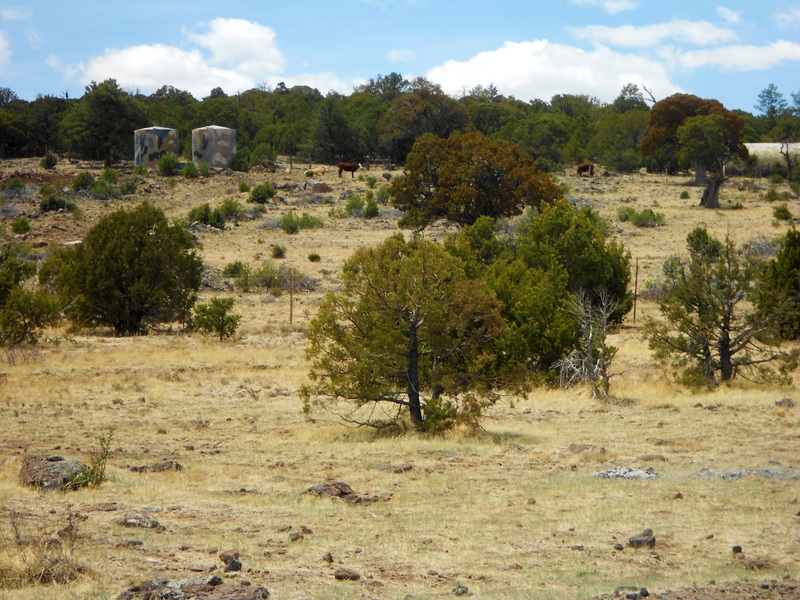 Additionally, another 250 gallon propane tank runs the generator for the Veravosa well. 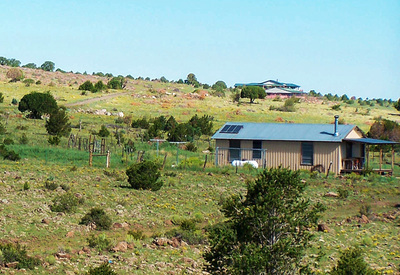 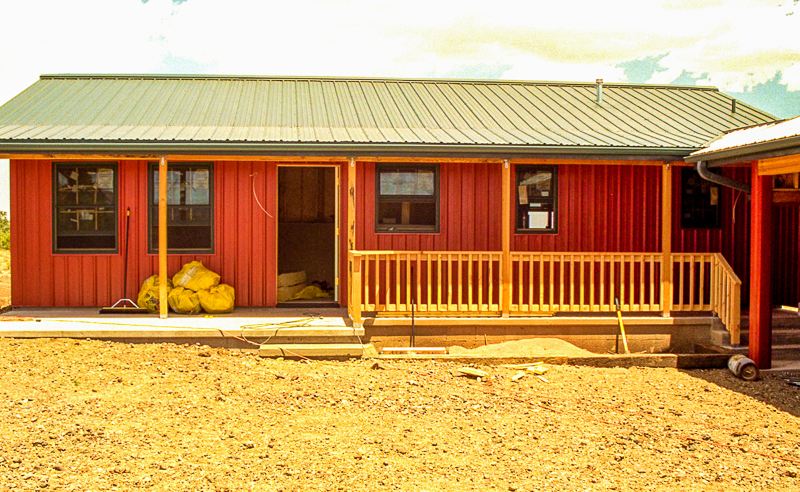 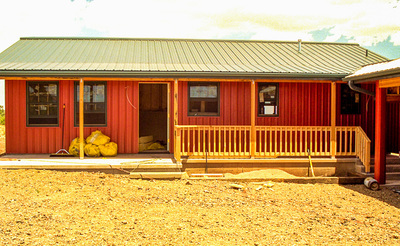 Quemado has a school for grades 1-12. Shopping and supplies are available in either Quemado, NM (population around 200) or Springerville, AZ (population around 5,000). Springerville also offers a hospital as well as an airport large enough to accommodate jets of any size.